Please join me in welcoming Tamera Lynn Kraft to my blog. Tamera has a super novella out for the Christmas season. Tamera has always loved adventures and writes Christian historical fiction set in America because there are so many adventures in American history. She is married to the love of her life, has two grown children, and lives in Akron, Ohio. Tamera is the leader of a ministry called Revival Fire For Kids where she mentors other children’s leaders, teaches workshops, and is a children’s ministry consultant and children’s evangelist. She has curriculum published and is a recipient of the 2007 National Children’s Leaders Association Shepherd’s Cup for lifetime achievement in children’s ministry. During colonial times, John and Anna settle in an Ohio village to become Moravian missionaries to the Lenape. When John is called away to help at another settlement two days before Christmas, he promises he’ll be back by Christmas Day. When he doesn’t show up, Anna works hard to not fear the worst while she provides her children with a traditional Moravian Christmas. 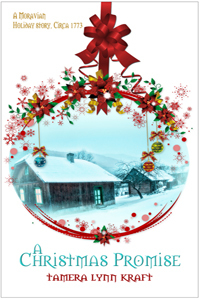 Through it all, she discovers a Christmas promise that will give her the peace she craves. 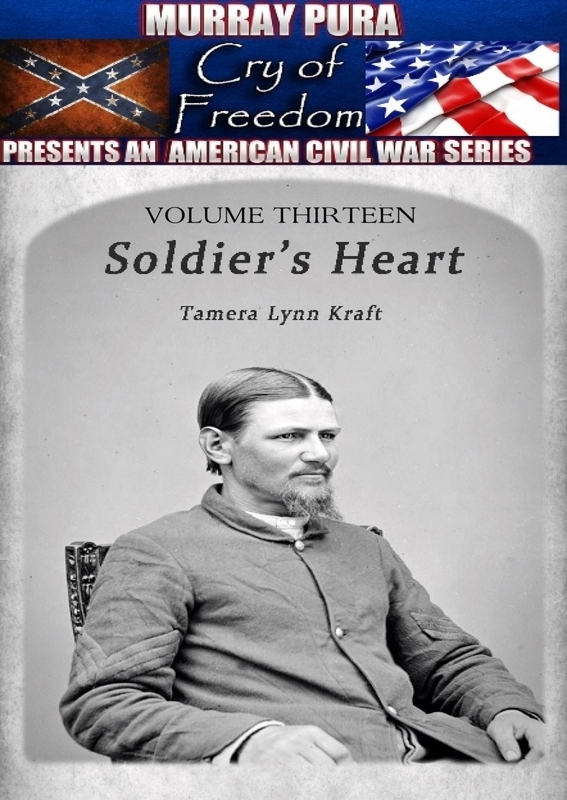 A Soldier’s Heart After returning home from the Civil War, will his soldier’s heart come between them? Noah Andrews, a soldier with the Ohio Seventh Regiment can’t wait to get home now that his three year enlistment is coming to an end. He plans to start a new life with his young wife. Molly was only sixteen when she married her hero husband. She prayed every day for him to return home safe and take over the burden of running a farm. But they can’t keep the war from following Noah home. Can they build a life together when his soldier’s heart comes between them? Since I started writing romances set in the Amish community five years ago, I needed to step up my baking skills. The Amish love to cook, bake and eat. For the most part, I’m proficient at the third part of that equation. In most of my books I’ve included recipes created by an Amish friend, Rosanna. Whenever my fictional character develops a passion for say, Peach Parfait Supreme pie, Rosanna invents the recipe and invites me to sample. Since my current release takes place in Kentucky, I called upon two friends who were lifelong residents of the state for Chess Pie and Kentucky Corn Bread. A Little Bit of Charm is set on an organic, free-to-roam chicken farm. Since my character, Sally Stoll, cooks chicken in one form or another for almost every meal, I had to include my family’s cherished Chicken Paprikas recipe. I still miss my mom even though she’s been gone many years. My cooking skills have dramatically improved over many years of marriage, but I still must agree with Liz Ellis. If you want a recipe to taste delicious, don’t skimp with ingredients or try to cut out a few fat grams. Life is short, and it’s meant to be savored. Brown onion in shortening; add seasonings and chicken; brown 10 minutes. Add water; cover and let simmer slowly until tender. (around 45 min.) Remove chicken; add sour cream to drippings in pan and mix well. Add dumplings; arrange chicken on top. Heat through and serve. For more gravy add ½ pint sweet cream to sour cream. Add flour to thicken. Mix all ingredients together and beat with a spoon. Drop batter by teaspoonful into boiling salted water. Cook about 10 minutes; drain; rinse with cold water. Note: dumplings float when they’re almost done. Drain well and add to paprikas. Note: This works very well with boneless chicken breasts and with noodles instead of dumplings too. Sometimes I add mushrooms to my gravy, but shhhh, don’t tell Mom. That’s not in the recipe! Stay warm and eat plenty of comfort food, readers. I hope you had a lovely Thanksgiving holiday and still have plenty of leftovers for sandwiches. I adore turkey, so feel free to send some my way. Today I’m happy to announce my collection of novellas with Beth Wiseman and Ruth Reid is available in both print and electronic versions. Always in My Heart, from the anthology An Amish Miracle was a joy to write last November on the beautiful shores of Jekyll Island, Georgia. And working with Beth and Ruth was a dream come true. Both are super people, besides great authors. My novella deals with adoption, and as an adopted child myself, I was delighted to delve into his complex topic. Here are the blurbs: Always Beautiful by Beth Wiseman: Becky Byler is eighteen and overweight. She is overwhelmed by the embarrassment she feels when comparing herself to other girls her age. Having lost all hope, she considers taking her own life. As she stands before rushing water, unable to swim, Becky begs God for a miracle. In just several months, Becky sees her prayers answered as food and temptation lose their hold over her. She’s finally pleased with how she looks, but does she like the person she has become? And has the man she has dreamed of been right beside her all along, loving her exactly as she is? Always His Providence by Ruth Reid: Widow Rosa Hostetler has one month to pay her delinquent taxes before the county auctions her farm. She’s prepared to sell whatever is necessary to pay the lien, but she isn’t willing to request money from the community’s widow fund. She’s embarrassed and refuses to admit she needs help. Rosa depends on income from selling eggs, but when that income is threatened, only a miracle can help Rosa accept the kindness of a neighbor. 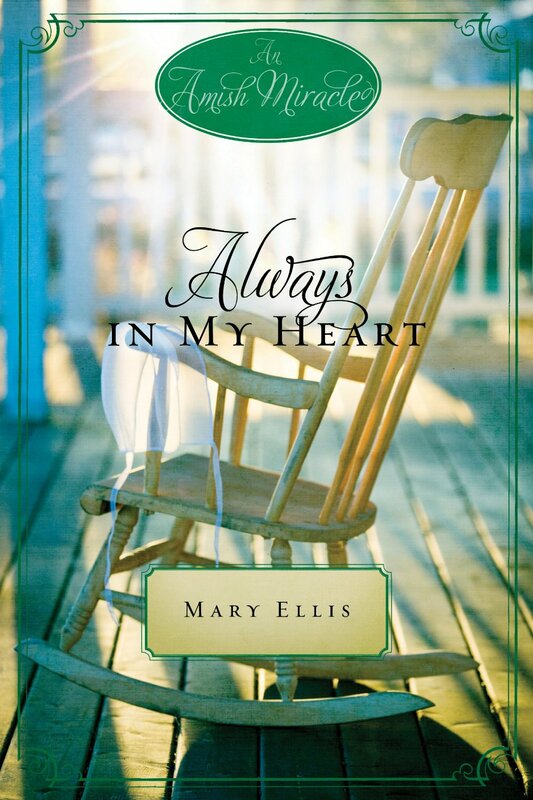 Always in My Heart by Mary Ellis: Hope Bowman believes God is punishing her for giving up her firstborn son when she was a teenager. She’s hidden this secret from her husband, who is thankful for their daughters but longs for a son. Hope prays desperately, but the son God sends her isn’t a new baby but the fifteen-year-old boy she gave up years ago. 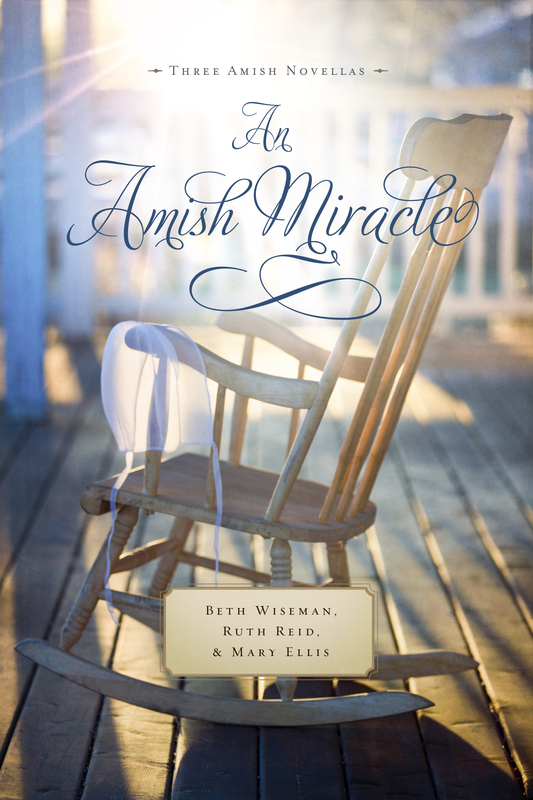 I hope you’ll look for An Amish Miracle from Harper Collins Christian Publishing wherever Christian books are sold, or at www.christianbook.com , www.amazon.com or www.barnesandnoble.com My novella, Always in my Heart, will also be available on Feb. 14th as a Kindle download by itself from Amazon. Have a great week, readers. Don’t let the holiday rush dampen your spirits.